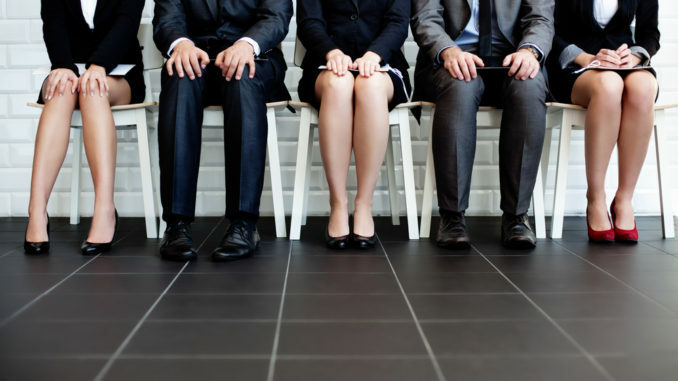 The job interview process is designed to remove those who aren’t a good fit for the team or the company. If you are called for an interview it means you have at least some of the required qualifications on paper, so the job is yours to lose. There are almost unlimited free interview tip resources which offer tried-and-true, basic advice about interview do’s and don’ts. While many Career and Leadership Coaches and Hiring Managers can probably tell many stories about basic “interview don’ts”, this article will focus on things you should do at an interview. Rather than just getting there on time, try to arrive 10 minutes early. Your first impression begins long before the actual interview starts, and arriving early gives you a chance to relax, collect your thoughts and give a pleasant greeting to the person who will announce your arrival to your interviewers. Rushing in, out of breath, looking confused and disheveled, is not the first impression you want to give. It’s a good idea to bring clean, hard copies of your resume on nice resume-quality paper to an interview, even if you’ve already emailed your resume or sent in a copy through an online application. Online applications can often make resumes difficult to read, so bringing in your own copy will make it easier for the hiring manager to view your qualifications. Bring extras, even if you think only one person is interviewing you. It emphasizes your interest and shows that you are prepared and professional. Don’t hold back; remember, this is your marketing material and you want people to have it. Here’s an example: Within the span of a month, a corporate recruiting manager had not one, but two candidates hand over a flash drive in response to his asking for a copy of their resume. Both told the recruiter that they hadn’t had time to print it, and asked if he could print it for them. Of course, the recruiter told both candidates that he didn’t think they would be a good fit for the company and ended the interview. Offer an example of your experience, even if the interviewer doesn’t ask for one. Don’t discuss what you would do, or could do; instead, tell the interviewer what you have done. Help them to understand how your skills and past experience qualify you to excel at the position they are hiring for. Take the time to prepare examples in advance and be ready to talk about how you have succeeded in the past. Unless you show them, you can be sure they won’t make the connection. Although this common sense, standard practice for professionalism should be a given in any workplace, according to many stories from recruiters it’s not so common! An interview is your chance to make a positive first impression upon the interviewer and show that you would be an asset, rather than a liability, to their team. This is one of the most important factors recruiters take into consideration. Don’t take chances; instead, be extra cautious. Don’t assume that the person sitting across the interview table has a similar sense of humor to yours. And don’t use colorful language, phrases that are sexist or stories involving illegal or even uncomfortable topics. If you do, in an instant you may have just talked yourself out of the job. This practice should also be common sense, yet while it is so simple, only a few people actually do it. Thank the interviewer(s) in person at the end of the interview, then follow up with a thank you note or email, preferably within a day. This is the best, simplest way to reiterate your written communication skills, your professionalism, and your interest. Getting an interview, particularly in today’s job market, is a great challenge. If you’ve made it onto a list of candidates being seriously considered, pat yourself on the back. Then review these tips, take time to prepare and you will be on your way to acing that interview!